Almost no property is perfect, whether it is a house or building. 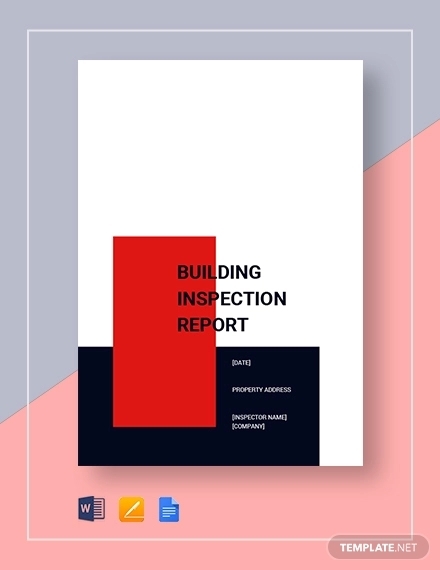 A professional inspector will always structure a report and find some issues about the condition of a property, but that is actually good and important because it informs the buyer and the seller of its structure and the possible risk or hazards it poses. 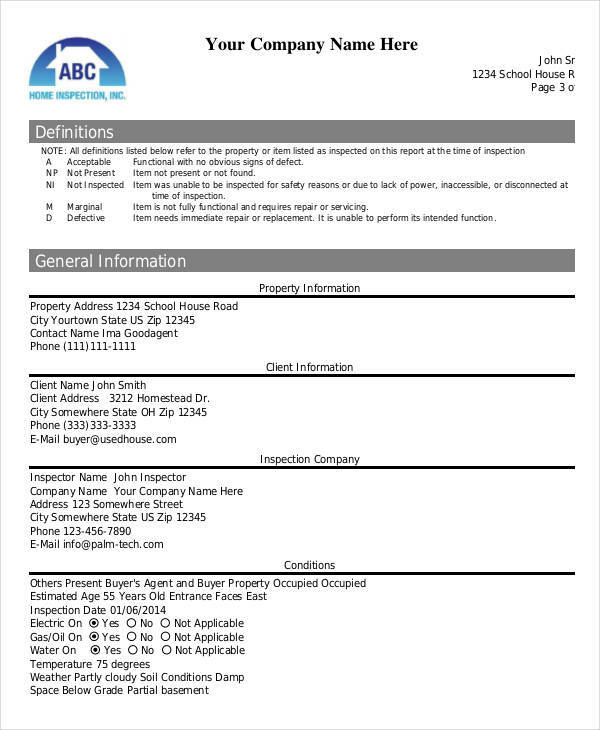 An inspection report is very important when buying a property. 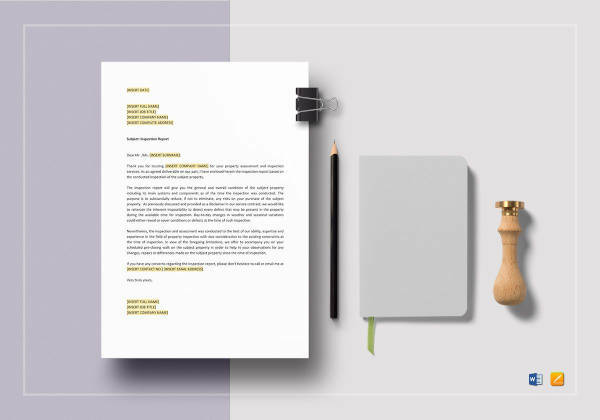 It will provide you with written account of all the important information and quality issue about the condition of a property and its structure. Most importantly, it will advise you of any risk assessment, safety hazards, and potential problems that may cause future damage. 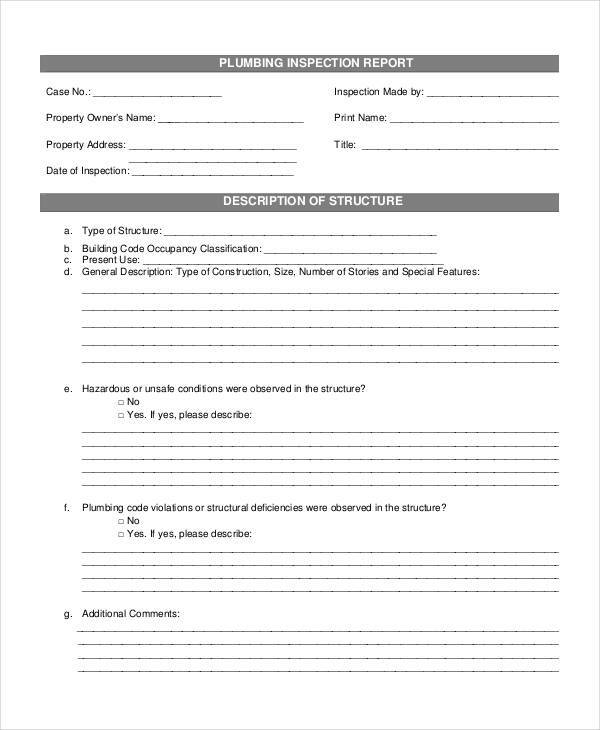 An inspection report is a formal analysis report that details the examination and assessment plan of a property’s visible structure and it’s internal components. 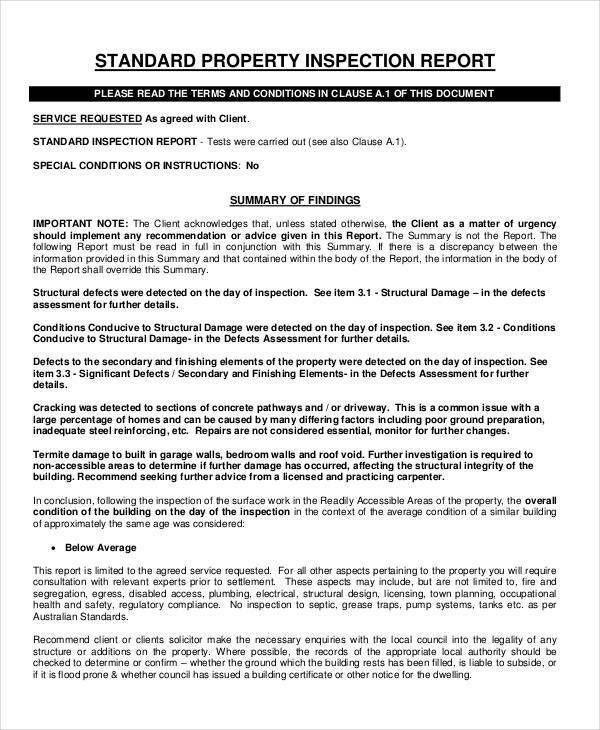 In other words, an inspection report is designed to ensure that the property is safe, in a good state of repair and does not pose any life, health, and safety risk after you make your potential purchase. 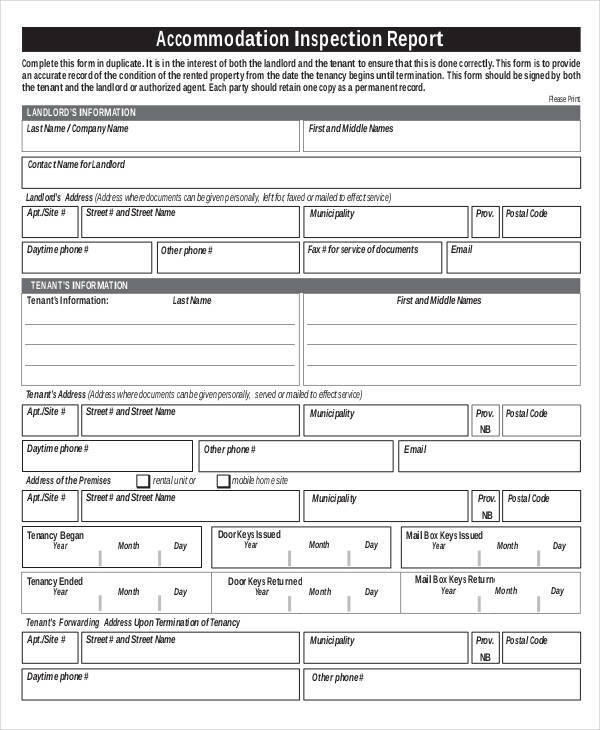 An inspection report is done by a professional and authorized inspection professional that provides you with all the information about the property and a clear knowledge of the minor and major issues involved with the property. 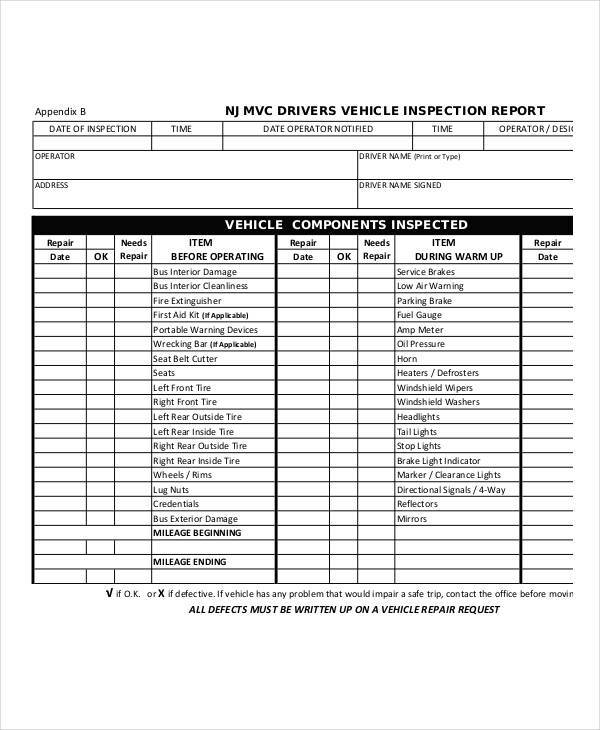 How Do You Properly Format an Inspection Report? 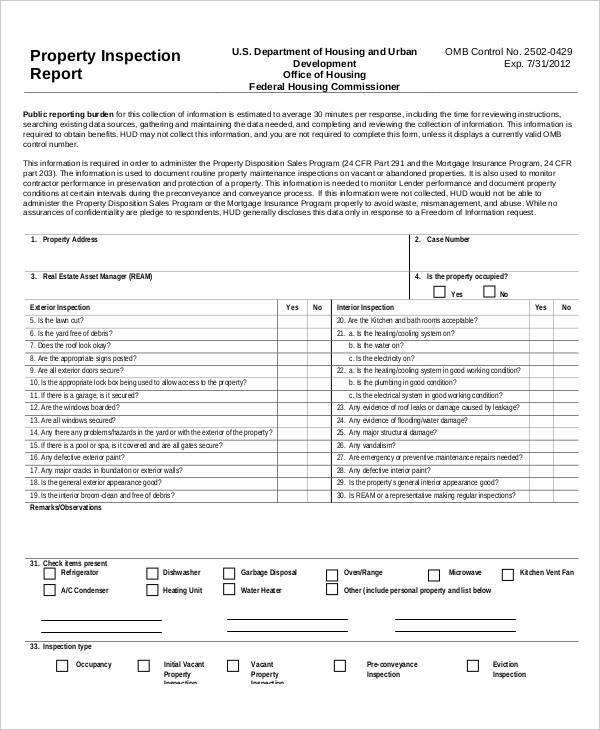 When formatting an inspection report, you must consider the setting of an agency to which you are submitting. 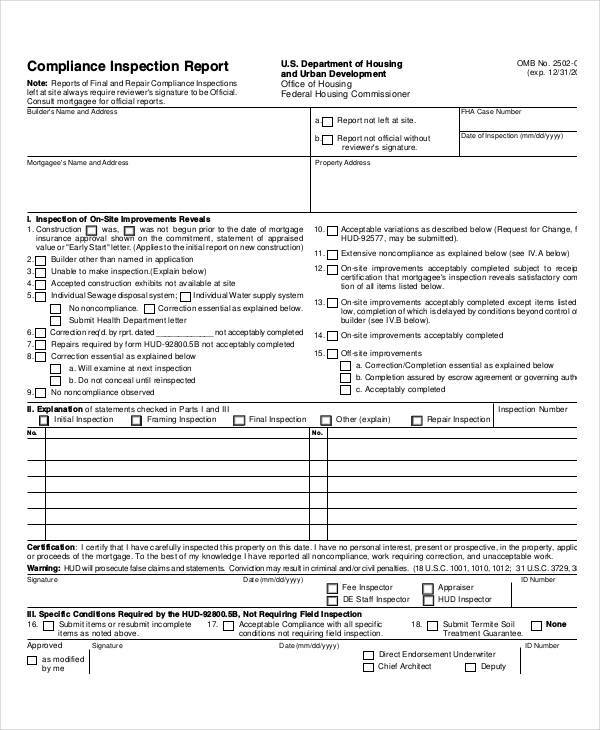 Strict guidelines regarding the information in an inspection report are required in most local, state, and federal health departments and government agencies. You can check their websites to look for a list of guidelines or sample inspection report. 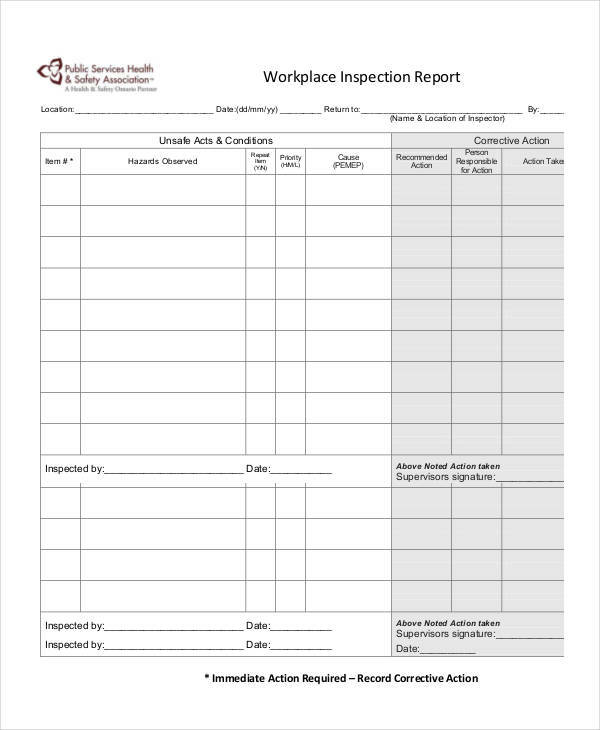 In the office safety inspection report format, the inspection should prioritise risk plan, escape routes and the presence of any health and safety hazards. 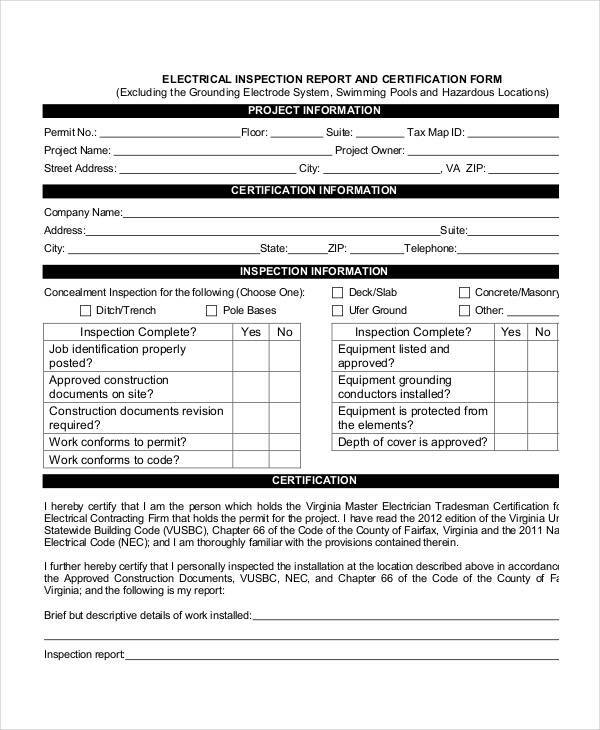 In a home inspection report, it should include information about its structure and foundation, plumbing system, and electrical system. 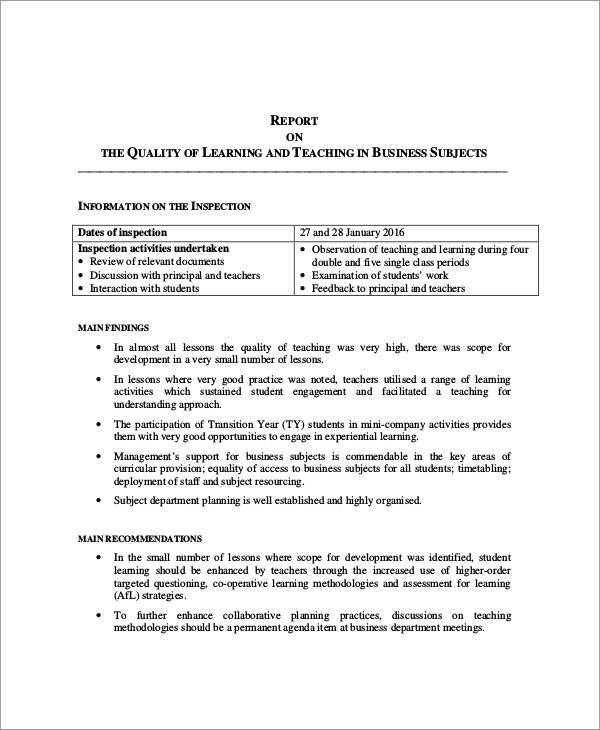 You can browse our inspection report in Excel and other formats to further help you. 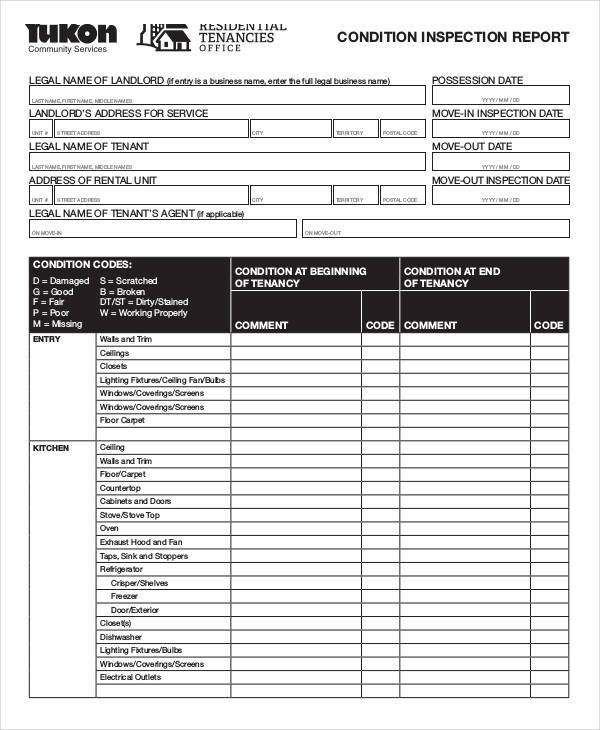 What Does a Home Inspection Report Cover? A home inspection report is a formal report that details the structural condition of a particular home. 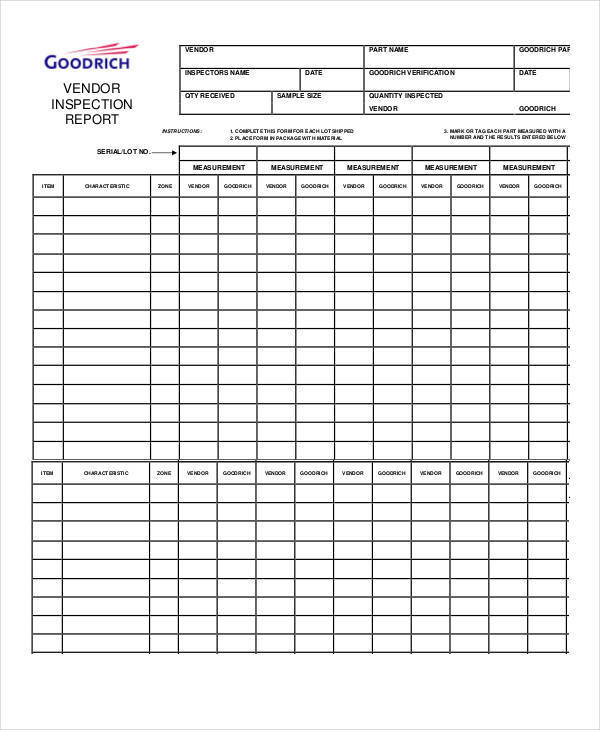 It serves the client by providing a clear, accurate, and useful status report about the condition of a home. Most home inspector includes photos in their inspection report and can be an up to 50 pages of information. 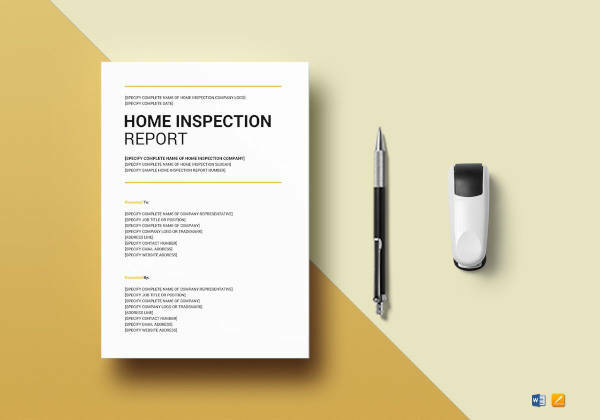 Here are the key areas that are covered in a home inspection report. Structural components – The foundation and the internal framing of the house. Exterior features – This includes the siding (a material which covers and protects the sides of a house), soffits (a visible underside of an arch or balcony), balconies, railings, and driveways. Interior features – Including the walls, ceilings, floors, stairs, doors, windows, and railings. Roof system – The roof material, the hip, ridges, and the starter shingles, and skylights. Electrical system – The wires, fuses, service panels, and breakers. Plumbing system – Including the pipes, drains, water heating system, valves, sump pump, plumbing fixtures, and tanks. Heating system – This includes the insulation and ventilation in the attic and other unfinished spaces. Cooling system – Including the air condition system, energy sources, and the distribution equipment. Fireplace – Including the chimney and vent.